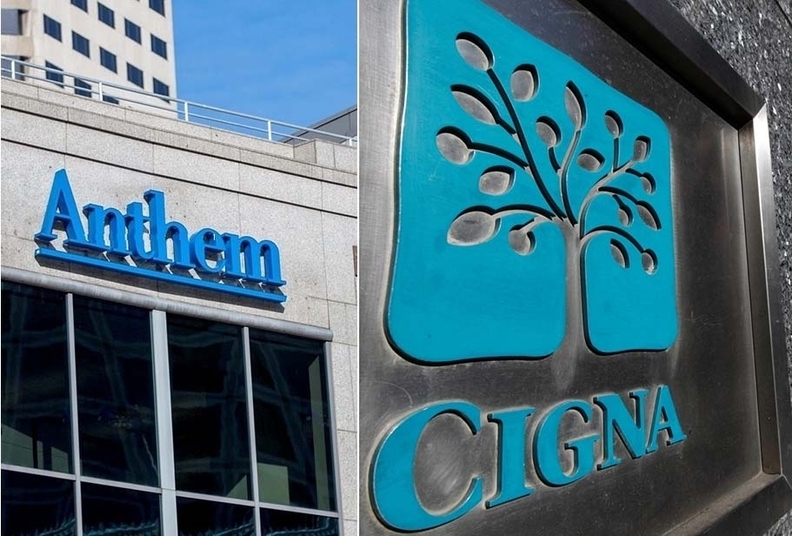 The U.S. Justice Department and several states on Monday urged a federal appeals court not to overturn a decision blocking Anthem and Cigna's proposed $54 billion merger. In a brief to the U.S. Court of Appeals for the District of Columbia Circuit, the Trump administration Justice Department said there was “overwhelming evidence” showing the blocked merger would never create any of the proposed efficiencies that Anthem touted. “The evidence showed Anthem had no real plan to achieve these savings and every proffered strategy either foundered in the face of business realities or was disconnected from the merger itself (or both),” the brief said. Anthem is trying to overturn a February preliminary injunction blocking the merger on the grounds that it would harm competition in the national employer market and in Richmond, Va. The insurer is facing resistance from federal and state government attorneys as well as its reluctant partner, Cigna. Several groups worried that President Donald Trump's administration would soften its stance against the largest proposed merger in the health insurance industry's history. In a Delaware Chancery Court proceeding last month over the contested merger, Anthem's attorney Glenn Kurtz said that Vice President Mike Pencehad supported the merger when he was governor of Indiana. Earlier this month, the American Medical Association called on the Justice Department to leave politics out of antitrust enforcement in the deal. But those fears may have been overblown. The Justice Department's 85-page brief on Monday accused Anthem of attempting to “manufacture a policy debate.” The federal agency said there was no compelling reason to overturn the preliminary injunction, and U.S. District Judge Amy Berman Jackson was rightly skeptical of the $2.4 billion in savings Anthem claimed it would achieve. “At the end of the day, the $2.4 billion in medical cost savings are purely aspirational and cannot justify the proposed merger,” the Justice Department said.